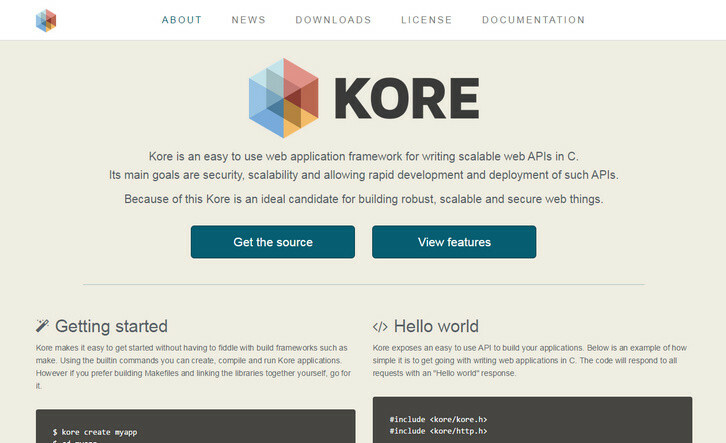 Kore.io is an easy to use web application framework for writing scalable web APIs in C. Its main goals are security, scalability and allowing rapid development and deployment of such APIs. Because of this Kore is an ideal candidate for building robust, scalable and secure web things. Kore makes it easy to get started without having to fiddle with build frameworks such as make. Using the builtin commands you can create, compile and run Kore applications. Kore exposes an easy to use API to build your applications.